Have you ever been to the Third Coast Institute of Sound? Probably not. It's a dreamed-up fictional museum where all of the exhibits and artifacts are dedicated to things that make sound and noise. 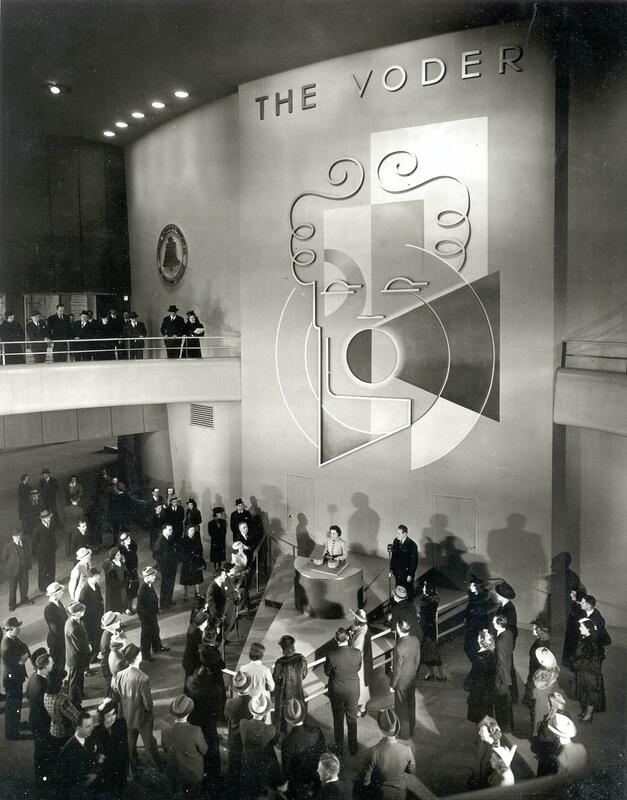 The "Voder," short for "Voice Operating Demonstrator," debuted at the 1939 New York World's Fair. On this special, the history of the cat piano goes back centuries and raises unanswered (and perhaps unanswerable) questions about the relationship between music and noise, human and animal. We'll also head back to the New York World's Fair. An astonishing new machine debuted there in 1939. Picture this: An operator sat at the organ-like device's curved wooden console with a giant speaker towering behind her. She faced an expectant audience, placed her hands on a keyboard in front of her, and then played something the world had never really heard before -- a synthesized voice. These stories and more, including Roald Dahl's "Sound Machine," all coming up on "The Third Coast Institute of Sound show." Join us this Sunday, July 8 at 7 p.m. for more. Join us this Sunday on Public Radio Presents for Re:sound -- The Hearing Show, from the Third Coast Audio Festival. This hour we listen in on hearing -- a complex system of circuitry that is vulnerable to all sorts of interruptions, misfires and breakdowns. Stories include: "The Rest Is Silence" by Brian Calvert, "Signal To Noise" by Paolo Pietropaolo, "5-7-5" by Flo Neve, and "The Extractor" by Jonathan Mitchell. Tune in Sunday, July 26 at 7 p.m. on WRVO. Missed the program? No worries! You can hear it online.